The neighborhood around this 38-story building has undergone dramatic change, all for the better, since it was erected in 1977. At that time, this was a fairly desolate and undistinguished stretch just to north of the "hospital corridor" along York Avenue north of the Queensborough Bridge. In 1980, however, Sotheby's, the auction house, relocated from Madison Avenue and 76th Street to the southeast corner of York Avenue and 72nd Street, remodeling a low-rise Eastman Kodak industrial building. 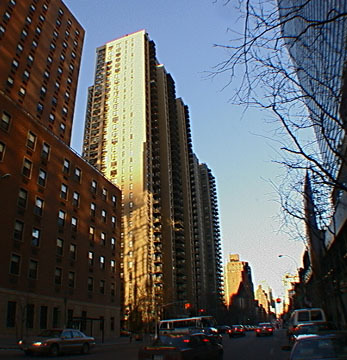 Over the next few years, many major luxury apartment towers, such as the River Terrace (now the Miraval), One East River Place, and the Belaire sprouted in the immediately vicinity around the corner on 72nd Street, and in late 1998, Sotheby's began a major expansion on its site. This building, which occupies the entire western avenue blockfront between 72nd and 73rd Streets, had attractions of its own including superb views, a driveway, an impressive, lushly landscaped entrance and many balconies. 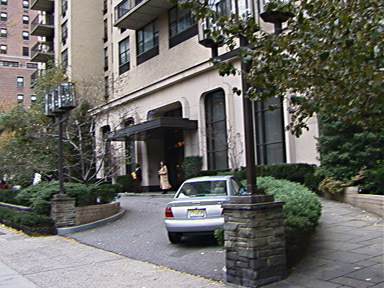 The building, whose addresses include 1365 York Avenue, 433 East 72nd Street and 428 East 73rd Street, has a doorman, a bicycle room, storage space, a health club, a garage, a health club and sundeck, a children's room, video security and valet service. It was built and is managed by Glenwood Management, one of the city's leading developers of luxury rental apartment towers. It has 12 apartments per floor and a total of 418. 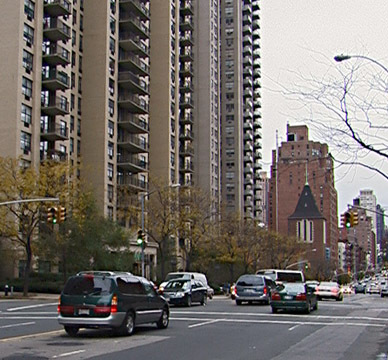 Although it is far from subways, there is crosstown bus service on 72nd Street and there is a handsome overlook of the East River with seating at the end of 72nd Street.